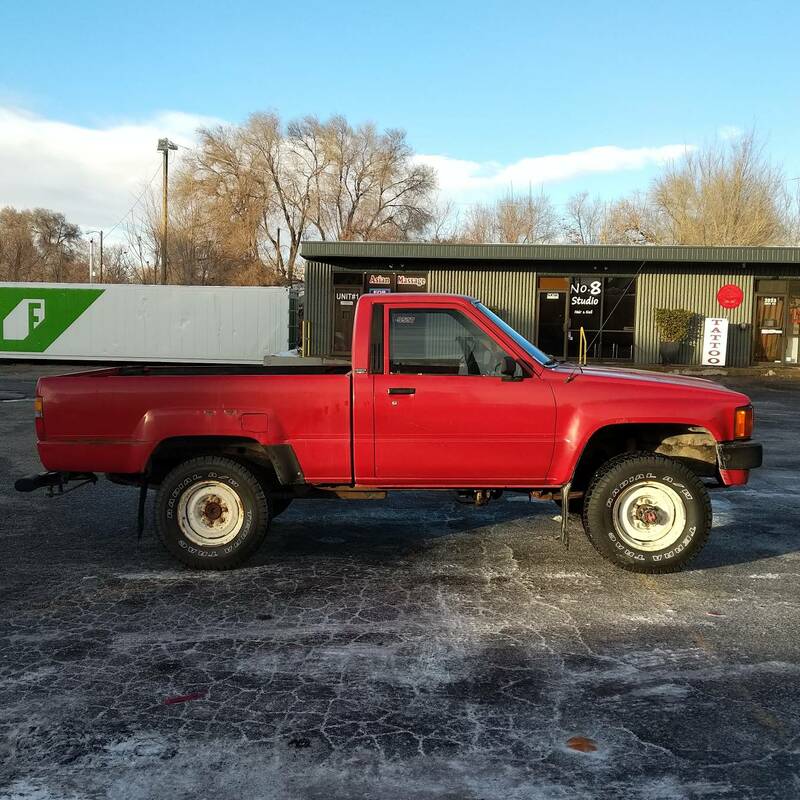 I'd like to introduce you to my new to me 1985 Toyota Pickup 4X4! 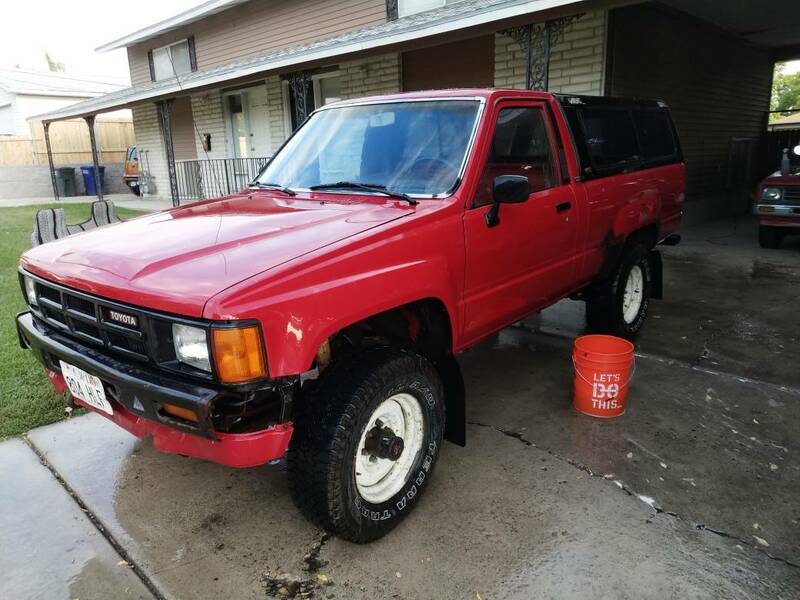 Just purchased it today, for a grand old price of $1500. 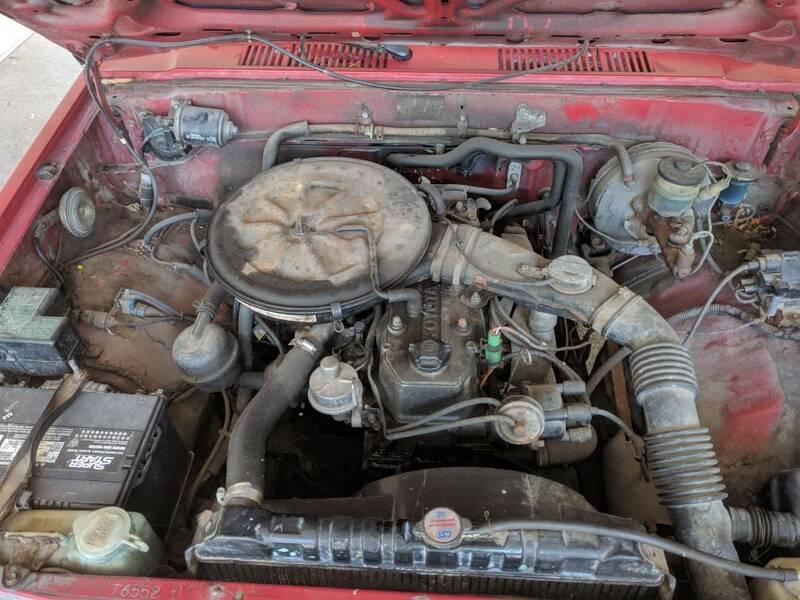 It runs, drives, but needs a new motor. It knocks at anything above 2000 RPM, plus she's got a bad head gasket. However, the transmission is new. 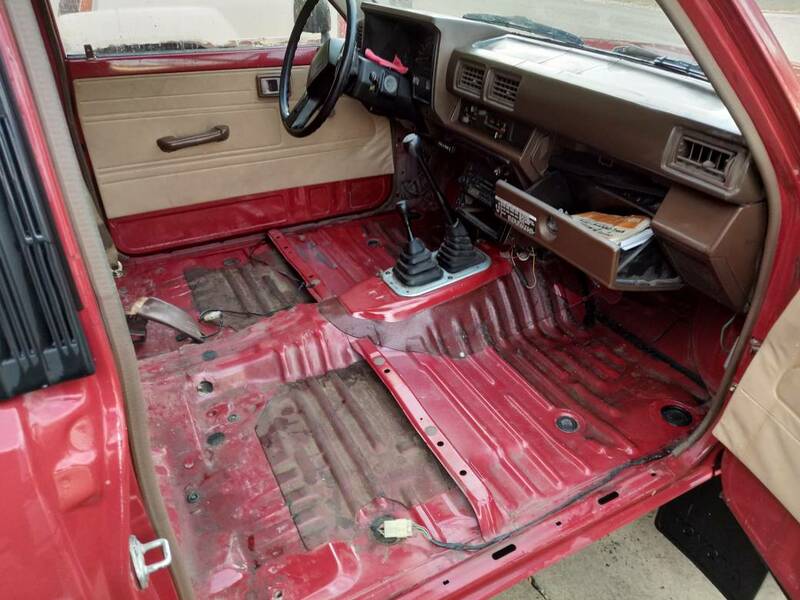 The floorpan is in pretty good shape, better than my 85 Xtracab. 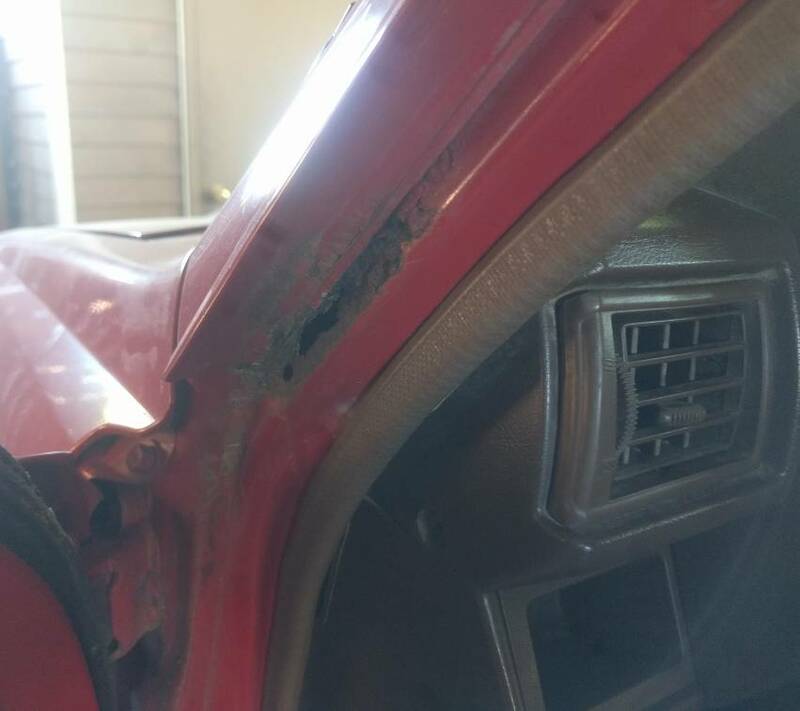 The frame is solid, no rot! 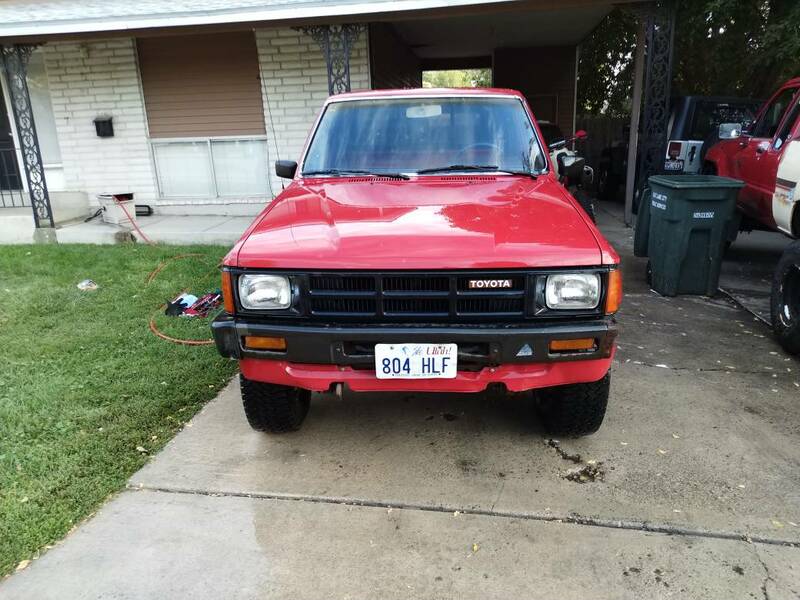 It's got about 230K miles, I purchased it from the guy who had it since 95'. 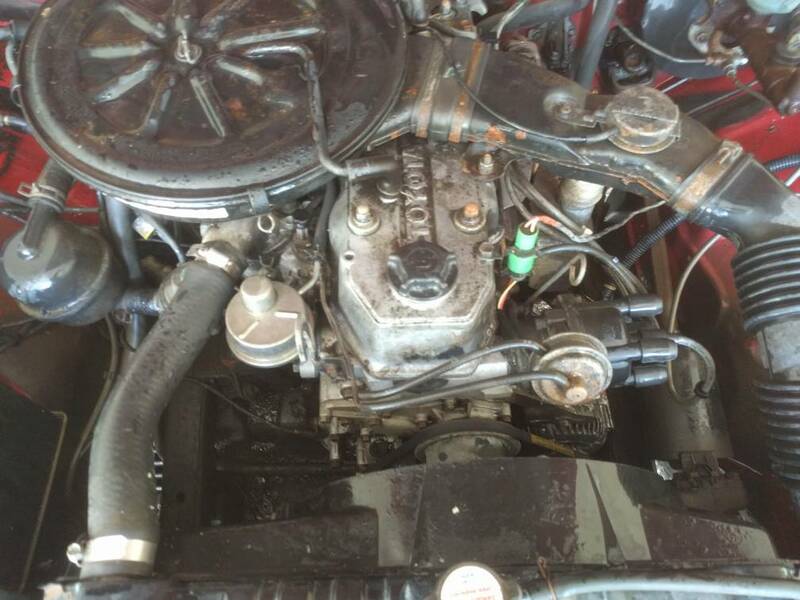 I'm gonna throw an engine together, the one from my 22R build up. Early style 22R, dual row. I only need the head machined and the rotating assembly balanced, then it's ready to go together. 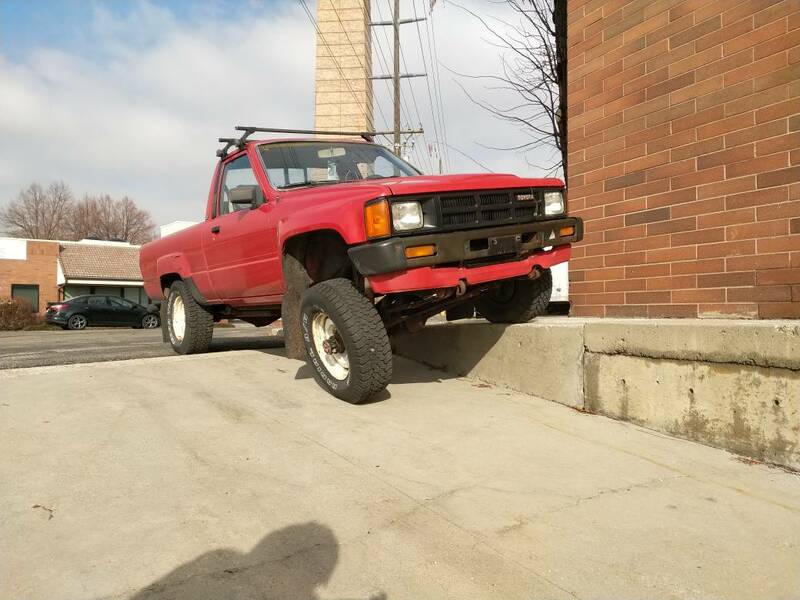 I plan to keep this one stock, and wheel my 85. What does everyone think? Good purchase? 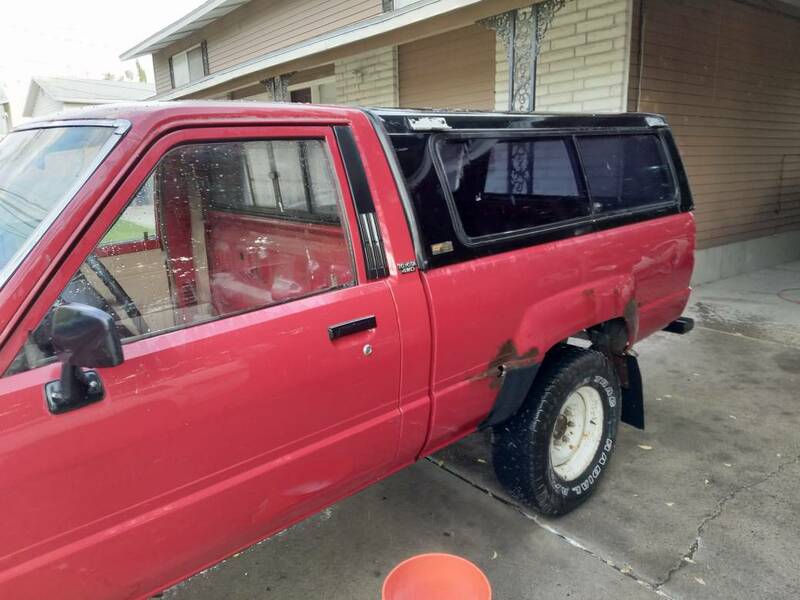 I know, the price is high, but it's got a nice camper shell! 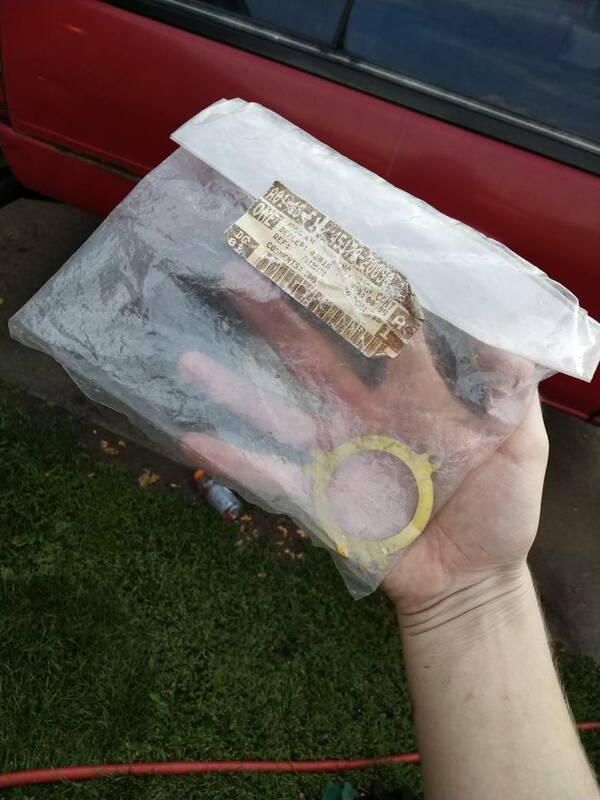 Plus an original clock spring still in the Toyota parts bag! Cleaned up the engine a bit today, was about a 1/4 of an inch of grease on the timing cover, nice and clean now. Sending my rotating assembly off in a couple weeks to get balanced, then I'll assemble the block. Head gets machined last. 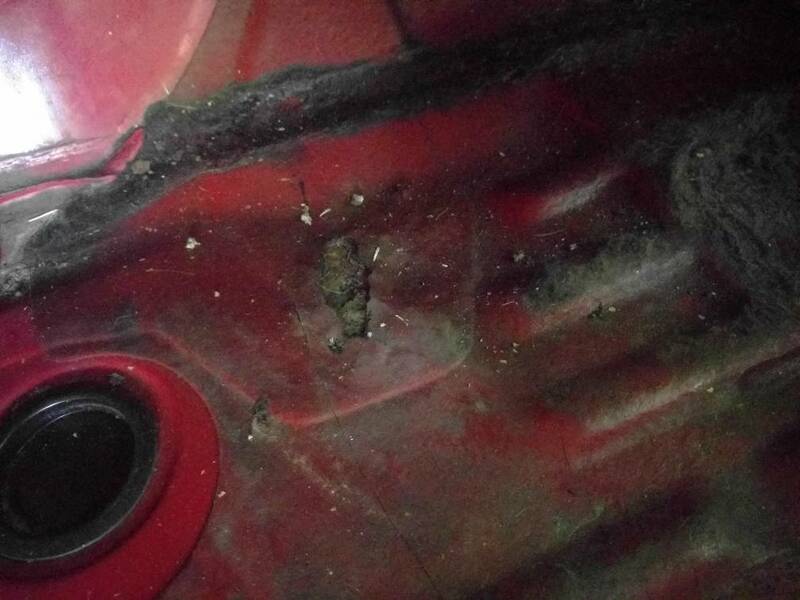 Couple pictures of the rust I'll be dealing with, I'm excited! 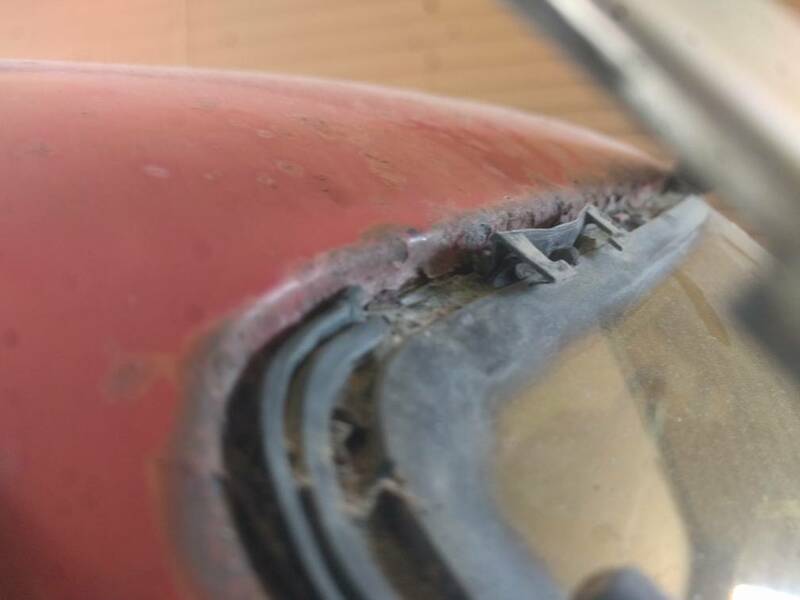 What's Everyone weld with when they do rust repair like this? I was thinking some Tig to help build up some areas. Bonus picture of my second day of Arc Welding, taking the full welding program at SLCC here in Utah. Working on getting the title paperwork sent in today since it didn't come with one when I got it. What a crappy laborious process. I have to have a Police officer come to my house and do a VIN inspect on it. Engine is coming along great, should have the head installed this weekend or next! Probably will have the truck running before I get the title. 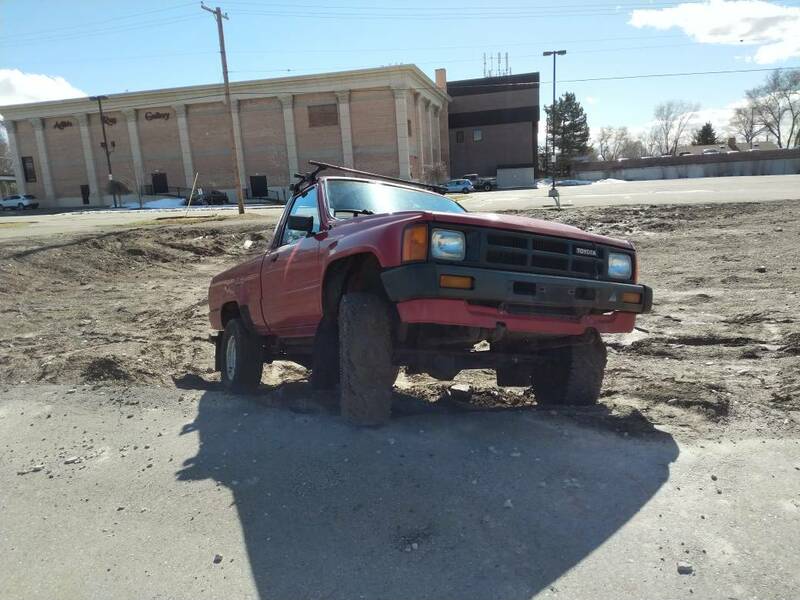 Here's the current state of this truck! 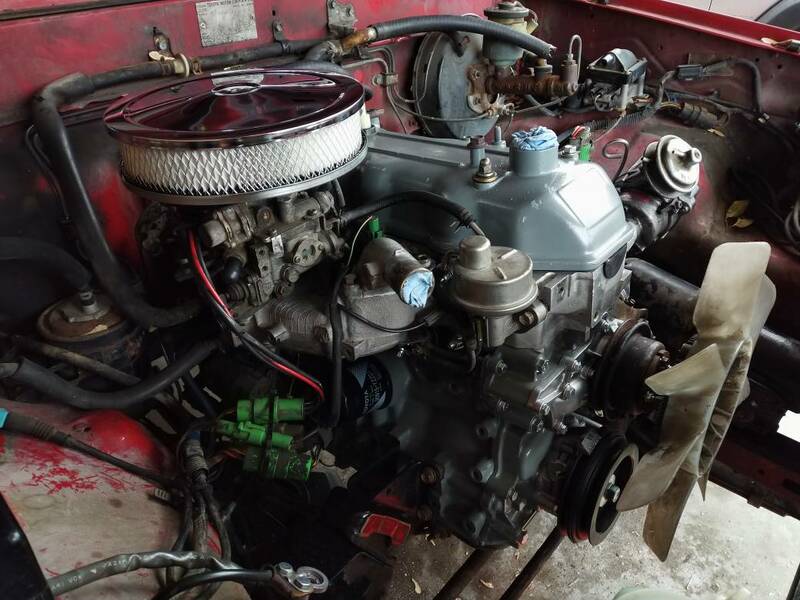 Engine is in, and almost ready to start. All OEM or better parts. While I had the motor pulled, I also did the transmission input shaft seal and bearing retainer gasket. While I was in there, I saw quality Nachi bearings! Hopefully meaning this "rebuilt" transmission has good parts. Sure shifted great before I pulled the engine. And a pic of the mostly complete stock interior, I plan to add carpet very soon! Today while digging through the glove box, I found an original horn contact pin in the parts bag. No Lexus or Scion logo so I assume these are old! The finished engine awaiting it's first start. Currently waiting on my gear oil to arrive. I bought Redline MT-90, I've heard great things about it! 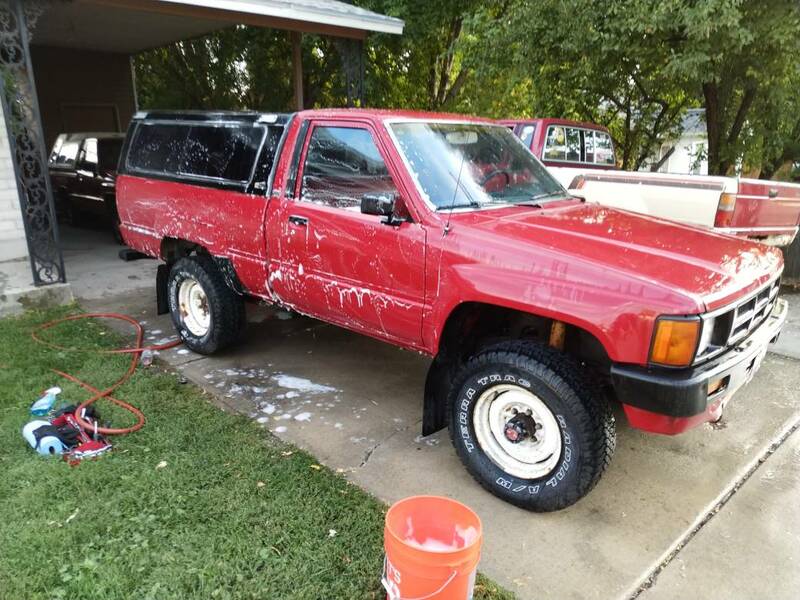 This truck is getting quite the refresh, it drove great prior to the engine install, so I've got me a solid daily here. I will eventually do things like brakes and new stock suspension. After I get the motor running and I'm satisfied, I'm going to buy a carpet kit for the interior. This truck is now functioning! 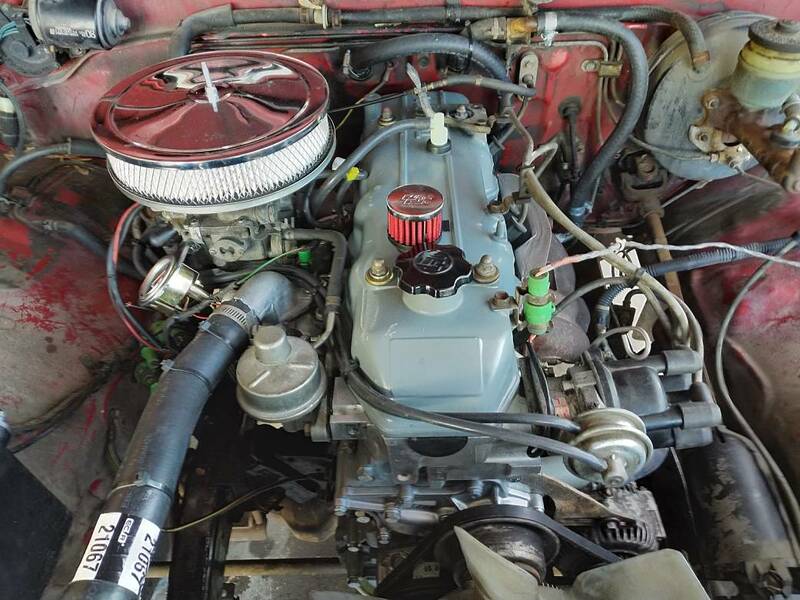 The engine started right up to life and it's running great. It also shifts amazing! I used the Redline MT-90, which is highly acclaimed not only for our truck, but for several other applications. It's synthetic as well, so it shifts great in the cold. I cannot recommended this stuff enough... And that's after driving around with it for five minutes. 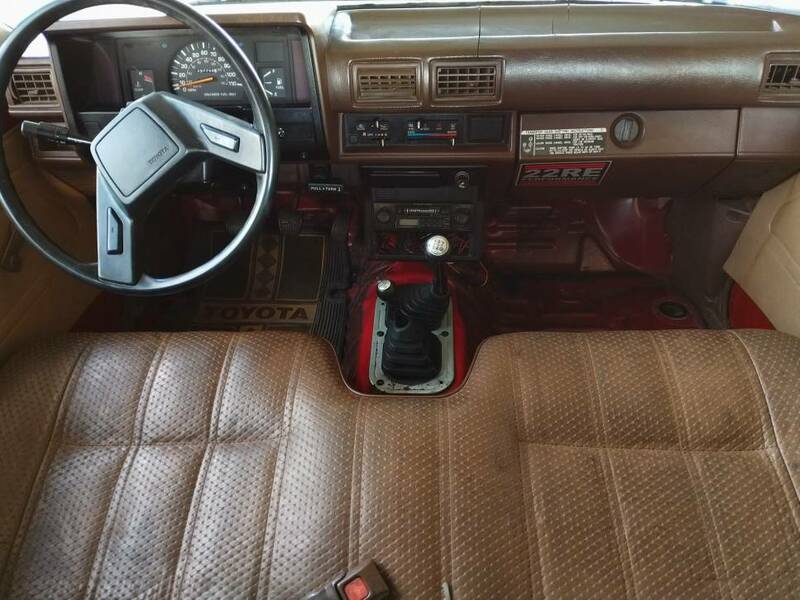 The transmission already shifts crisp and accurate, but I am thinking about replacing the shifter seat and cup. The heater on this truck works amazingly well, I think the CLR that I used to clean it worked great. This is important as I live in a cold climate, so I want it to be nice and toasty. Everything else on this truck is solid, I thought with it sitting for nearly 15 years that it would need more. Apparently not. Well it could use some things. But, the brakes and steering work great. 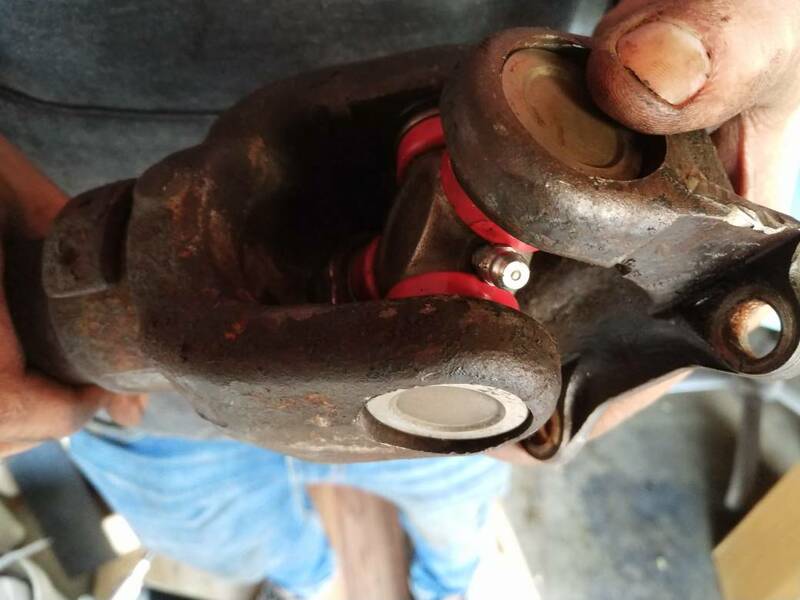 The suspension bushings are old and dry-rotted. We will assess that later. This thing needs two things now. Put about 20 miles on it today, engine runs great. Truck drives great, minus the squeaky clutch pedal. WD-40. Nice job. Looks like you're celebrating at the Asian Massage parlor? Nope, a headshop not in view. Yeah, another name for an Asian massage parlor...headshop. Are you gonna tackle the rust next? I would think that Tig would be best especially since you have access to it through your program. Well, not exactly. I start the second semester of welding on January 7th, which is exclusively SMAW. 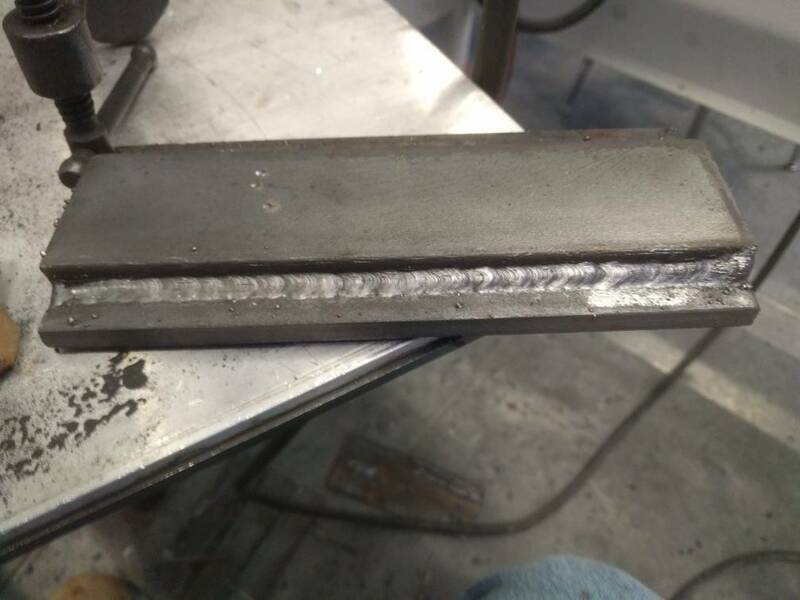 Tig/mig doesn't come until the 3rd. I know how to do GTAW, I've done it. Pretty good at it too.... I just don't have a machine to weld. I'm not exactly worried about the rust right now, doesn't leak water into the cab. I'm also moving here soon, salt lake to Vancouver WA so I won't be able to do any other major work until I move. And when I get there, the climate isn't super rusty. So it won't get worse hopefully. I do intend to fix it as soon as I can. The next thing on the list will be carpet and probably some highway tires. Ooh and a clock. This truck needs a clock. Now that I've got this truck running and driving great, I need to think about some theft protection. As we all know, these things get stolen all the time. I often take trips down to Ocean Beach San Diego where my family lives, and driving this truck THAT close to the border scares the crap out of me! I've decided on 3 theft protection methods. The first is locking the shifters together. We've all seen it done before, and it's effective. If I could somehow lock the transmission or transfercase in neutral together, it is undrivable. In my other truck, my Xtracab I took the steering wheel off and inside with me overnight. Works great, they can't steal it if they can't drive it. It's literally just a 19MM and my daily carried Leatherman to pull it off. In my Xtracab I also have a keyed Killswitch hidden up in the dash. It's not powered off the stock coil circuit, so even breaking the column and hot wiring it isn't an option. I'm fairly certain with these three methods, it's theft proof. 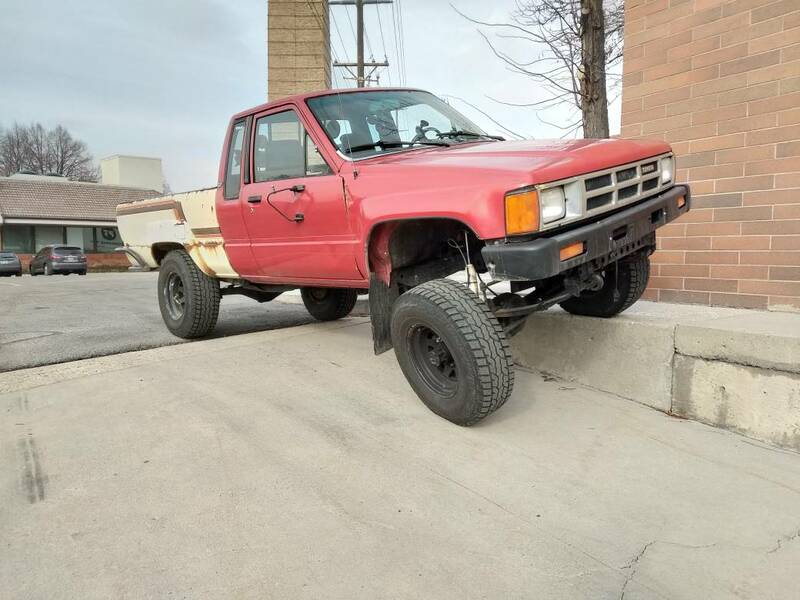 I wanted to check the flexibility of both my trucks and see if there's a massive difference. Less than I thought. No sway bar on the single cab, and springs are extremely tired. 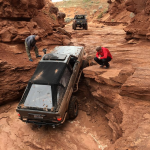 Xtracab is 4inches of lift with sway bar and no torque rod. Bolt on lifts are not designed for articulation. The Xtracab will get 37's and high-steer soon. I like having two trucks, I drive both everyday. Since the single cab is still on it's 1000 mile break-in. 1,600 miles in on the rebuild. Running great. Rear U-joint yoke on the differential side is cracked, new one on the way from mudmaster. Haven't decided if I will get OEM replacement U-joints or just go with some parts store ones. Duralast has basically an unlimited warranty. 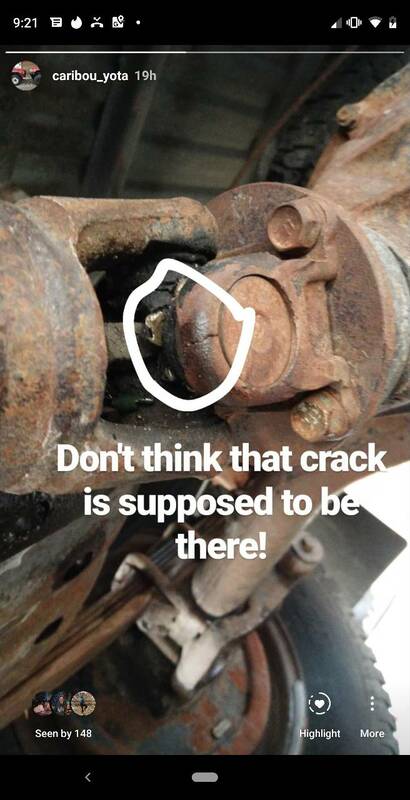 My friend has a 1999 Tacoma and today we replaced his rear U-joint with a duralast branded one from Autozone. The grease zerk is on the completey wrong side, and it can't even be greased using a grease gun. It's too far in and the yoke is too large to allow one to fit. Looks like some decent Japanese made ones are the way to go. That's what I'm thinking, I'll order those! 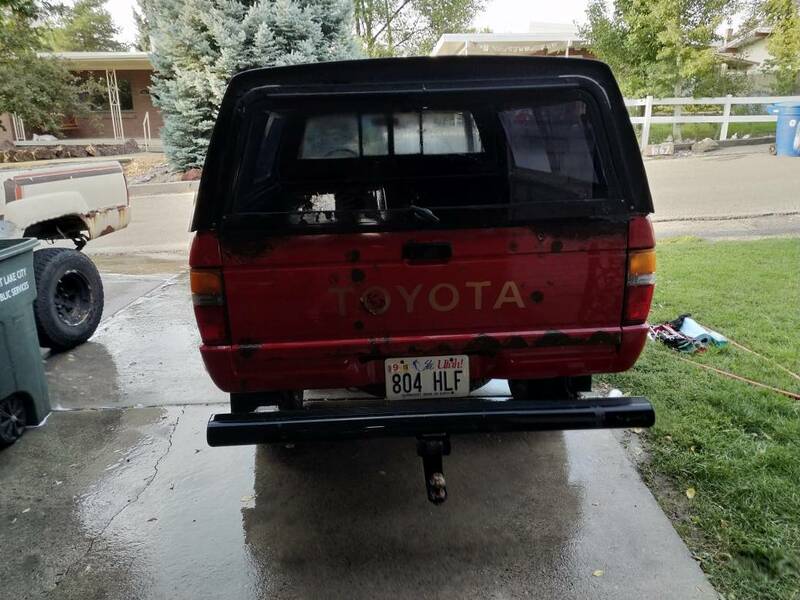 Bought this for the single cab! Low miles and far as these typically go for. 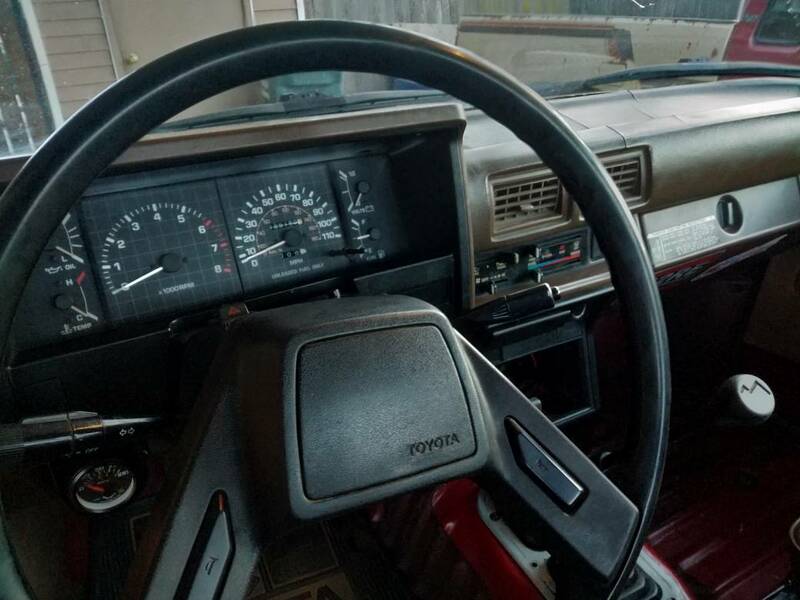 Already have the oil pressure sender (NOT switch) connected to the third oil pressure port. Will be an easy swap. 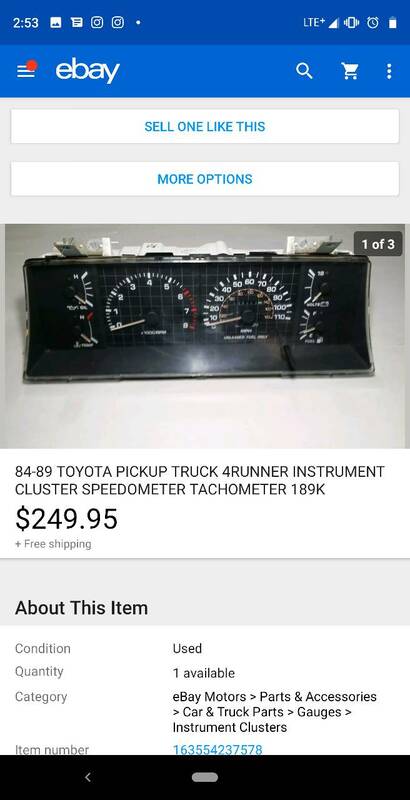 Not sure if mine is prewired for a tach, my other 85' wasn't. Gauge cluster is in! 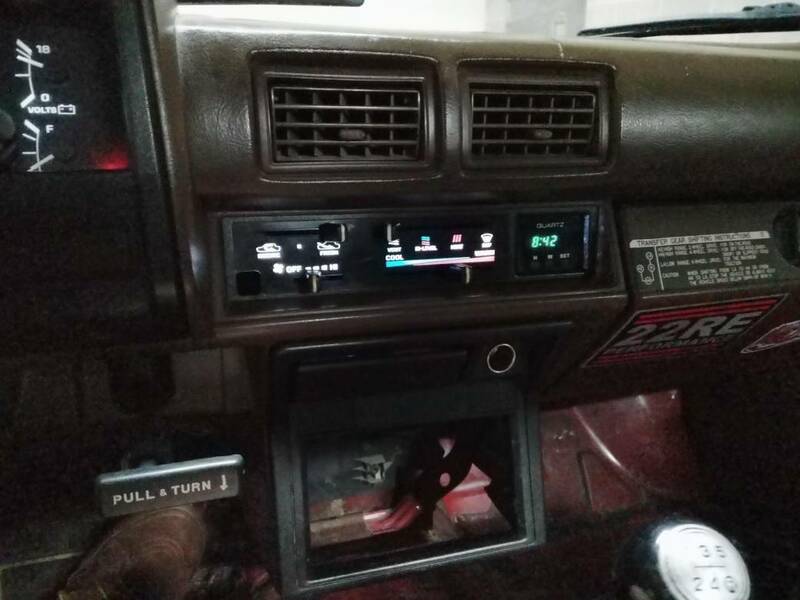 As I suspected, my truck was not already wired for a tach, I believe all EFI trucks regardless of trim level are, just not carb'd trucks. Ran a wire from the extra coil port and to the P terminal screw on the back of the cluster. Everything works, including the oil pressure gauge. The bulbs are burnt out, but I have several spares. So that'll be an easy fix. 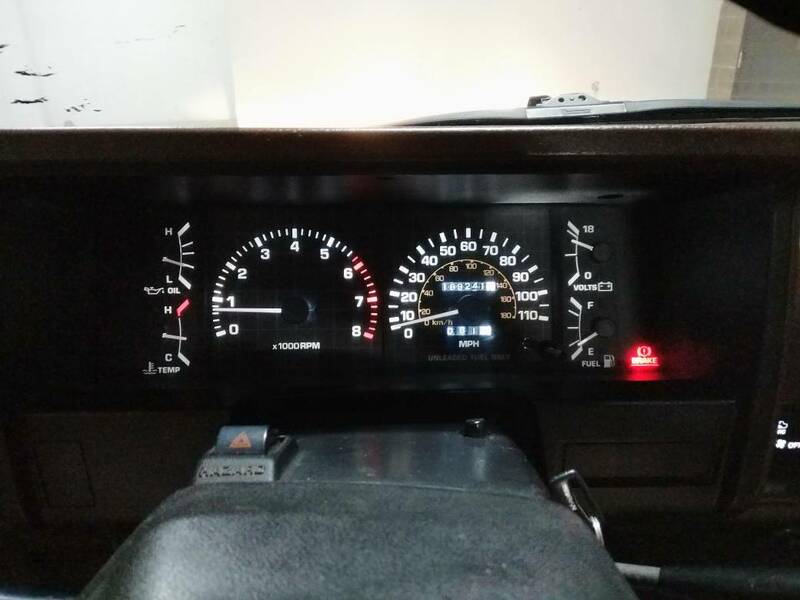 Installed new LED bulbs in the cluster and climate controls. I also borrowed the clock out of my xtracab. Installing new autometer mechanical oil pressure and water temperature tomorrow. Full view on engine temp. I'm planning a 3 core aluminum rad and an electric fan. Page created in 0.309 seconds with 37 queries.